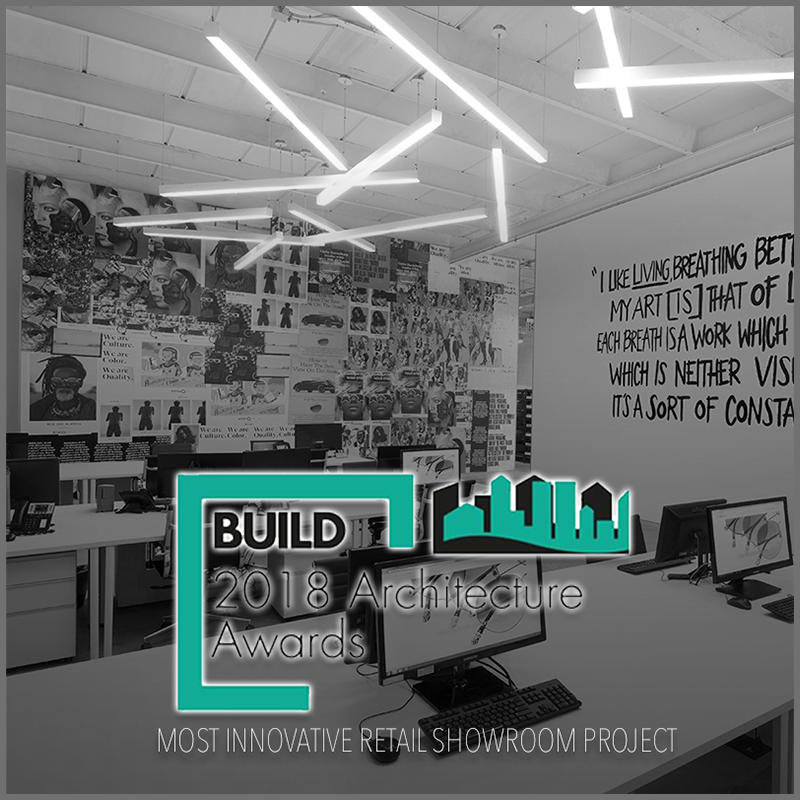 KoDA Miami has received the 2018 Build Architecture Award for Most Innovative Retail Showroom Project for Etnia Barcelona Multi-Functional Showroom. The prestigious Architecture Awards recognize and acknowledge the outstanding works conducted by imaginative designers, engineers and visionaries, whose inspiring and memorable designs and structures enhance our horizons. As energy efficiency and sustainability have become increasingly vital to modern designs, the awards also pay homage to those who continue to design the healthiest and cleanest structures, with an added impetus on creating environmentally safe and friendly buildings. KoDA Miami has received the 2018 Build Architecture Award for Best International Contemporary Design Studio in the South East USA. The prestigious Architecture Awards recognize and acknowledge the outstanding works conducted by imaginative designers, engineers and visionaries, whose inspiring and memorable designs and structures enhance our horizons. KoDA Miami has won “Best Of Service” on Houzz®, the leading platform for home remodeling and design. The multidisciplinary design firm was chosen by the more than 40 million monthly unique users that comprise the Houzz community from among more than one million active home building, remodeling and design industry professionals. The Best Of Houzz is awarded annually in three categories: Design, Customer Service and Photography. Customer Service honors are based on several factors, including the number and quality of client reviews a professional received in 2017. With a community of over 40 million users, Houzz has become an online platform connecting homeowners, home design enthusiasts and home improvement professionals around the world. Each year the Houzz community selects professionals for Best of Houzz in the categories of Design and Customer Service. Honors are based on several factors- including the number and quality of client reviews a professional received in 2017 and commitment to excellence within the community. With a community of over 40 million users, Houzz has become an online platform connecting homeowners, home design enthusiasts and home improvement professionals around the world. Each year the Houzz community selects professionals for Best of Houzz in the categories of Design and Customer Service. Honors are based on several factors- including the number and quality of client reviews a professional received in 2016 and commitment to excellence within the community. KoDA Miami was awarded the Best of Houzz Service Award for 2017 from among more than one million active home building, remodeling and design industry professionals. 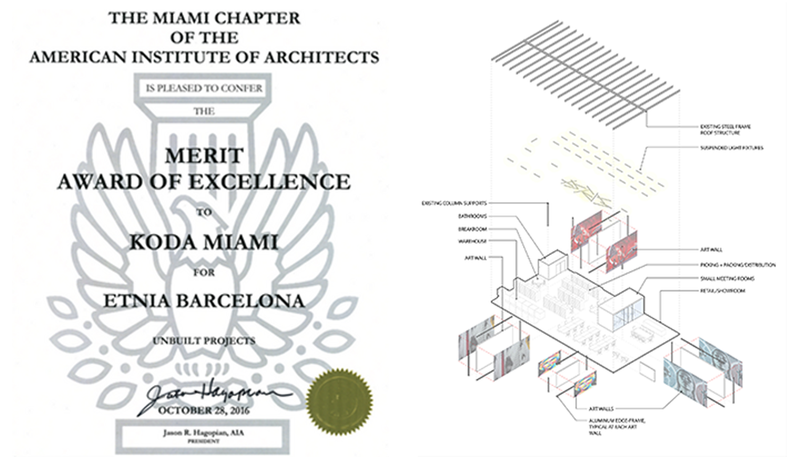 KoDA Miami received the American Institute of Architects Merit Award of Excellence for an Unbuilt Project in 2016. The Unbuilt Design Awards recognizes outstanding examples of recent, commissioned architectural designs not yet built or complete. 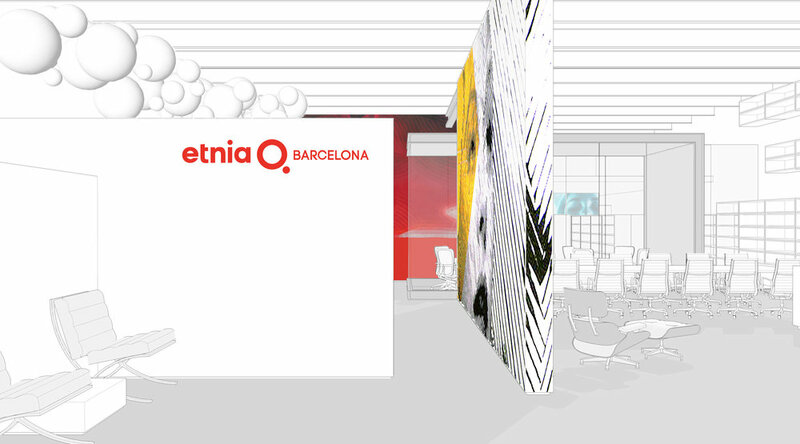 The design submitted was for the brand new Etnia Barcelona Multi- Functional Showroom being built in Little Haiti, Miami, Florida.